Today Kish and I decided to tackle some deep cleaning projects: the drawers in our dressers, and the drawers in our upstairs bathrooms. The dresser drawers were bursting. It’s easy to just shove stuff into a drawer, thinking you’ll get to it soon. Of course, that doesn’t happen. You end up, as we did, with dresser drawers jammed with stuff from days gone by, old birthday cards, crumpled receipts for God knows what, stray glasses cases, old laminated cards that show you how to dial into phone messaging systems that haven’t existed since the Bush Administration, and chargers for cell phones that have gone the way of the dodo. The bathroom drawers are even worse. Tubes of medication that expired in 2005. Single shoelaces with no partners. Empty Band-aid wrappers. Combs with broken teeth. Cotton balls embedded with hair. Oh, yes . . . and safety pins. Lots of safety pins. Most of the stuff went into the garbage bag with a toss. 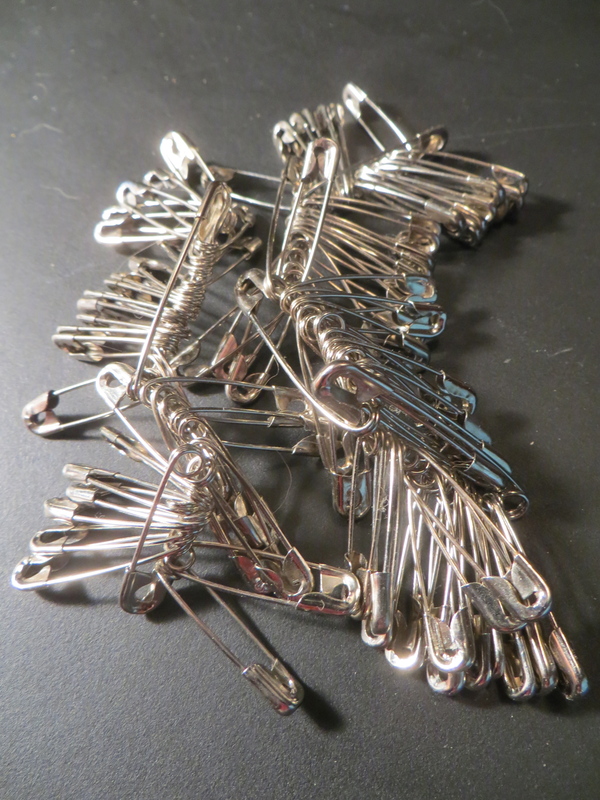 The safety pins — all of which came from our dry cleaner at some point– I decided to recycle. Dozens of safety pins, joined together and jangling, to be put into the dry cleaning bag. It’s a beautiful day outside, but sometimes cleaning up inside is a beautiful thing, too. With our chores done and our drawers clean as a whistle, we can go out and enjoy the lovely weather with a deep sense of satisfaction. The boys are gone, back to their new home bases. It was wonderful to see them, but with their departure the house feels in a certain state of . . . disarray. There are beds to be stripped, clothes to be washed and dried and hung, clean towels to be folded, and sheets and blankets to be tossed in the air as beds are remade. There are dishes to be gathered and brought to the kitchen, scrubbed, and put into the dishwasher racks. There are bottles and cans to be collected and put in the recycling bin, counters to wipe clean of bread crumbs, and napkins and wrappers and stray debris to pitch into the trash (always thinking, as the hurled item lands in the trash can, “two points!”). When I got up this morning, I began moving from room to room, straightening up and leaving one room clean before moving on to the next. 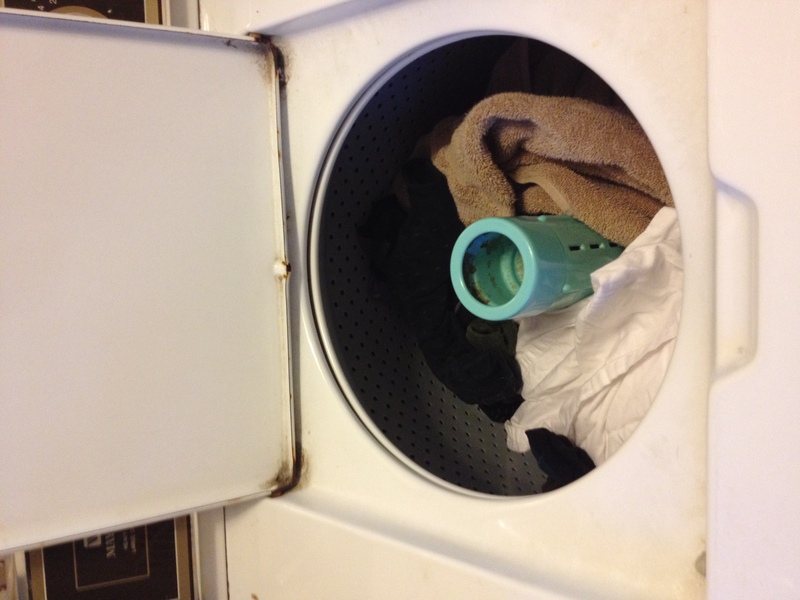 It is good to hear the clang of the washing machine lid as clothes get placed inside, the hum of the clothes dryer, the swish and swirl of the dishwasher. These are the happy sounds of a house being cleaned and restored to a semblance of order, and Saturday morning is a good time to accomplish that chore. Now I sit, drinking my coffee and feeling a sense of satisfaction, and I think: what flowers should we get to put in our flower beds this year? The feeling of accomplishment from my early morning clean-up exercise gives me the incentive to tackle a little gardening this afternoon.